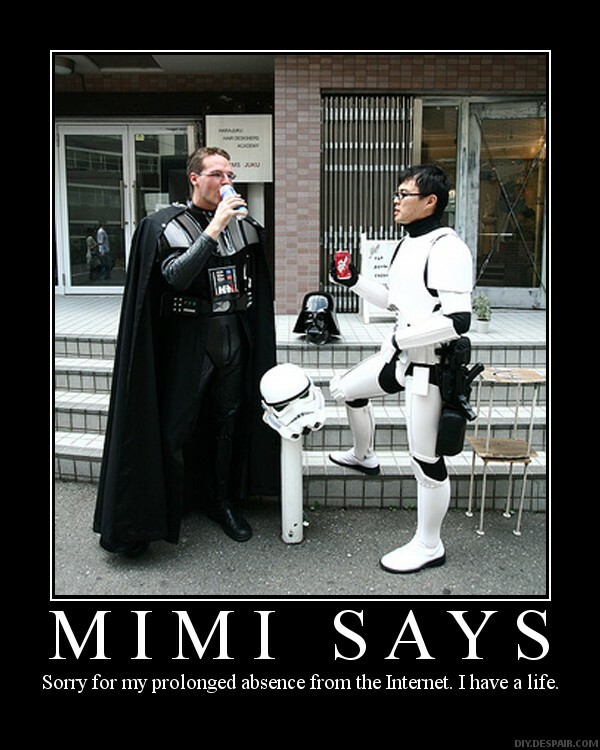 This entry was posted in Danny Choo, Star Wars and tagged Danny Choo, Demotivators, Hector Garcia, Mimi. Bookmark the permalink. @Mimi: Just go to Despair.com and click the “DIY” tab. Easy as pi squared, lol. Motivational posters. Got to love them. @Panther: Well, until we appear on them, lol. LOL another sarcasm reply from the JAYMAN!